packages ranging from 5000 sqf to 100,000+ sqf. 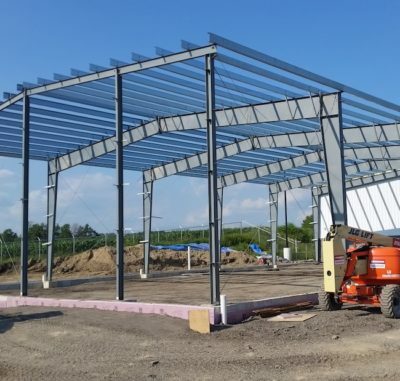 We have experience erecting buildings for trucking & logistics companies, oilfield service companies, service shops, warehousing facilities, community centres, church construction, arenas, pools and other types of sports facilities, and the agriculture industry. 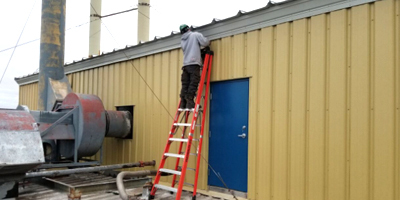 CMBE also has experience erecting commercial use buildings for medium to large sized contractors providing them with office space for their staff as well as a facility to store sensitive equipment and shop space for fabrication, loading and unloading of trucks, and general yard storage. 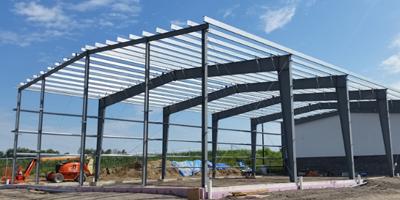 We build metal building packages for many different suppliers and are proficient in the systems and details of all the major suppliers including Nucor, Steelway, Robertson/Star, Metallic, Butler, Varco Pruden. 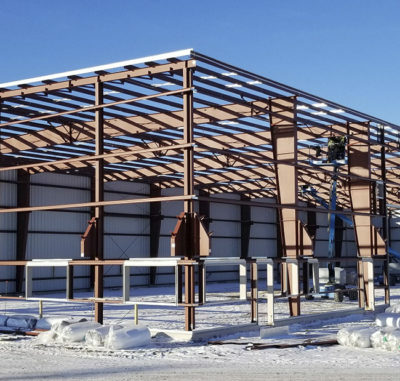 CMB Erectors specializes in new construction metal building packages ranging from 5000 sqf to 100,000+ sqf. 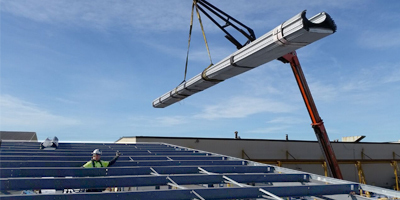 We utilise and have access to an array of different equipment allowing us to accomplish your dream structure build from ground up. 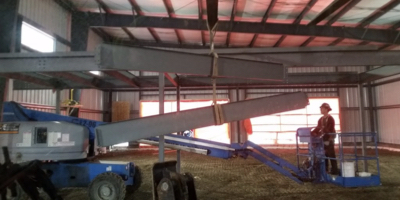 CMB works alongside contractors, engineers, and suppliers to make the addition to your existing building as seamless as possible. We ensure that there will be no disruption to the current operations of your business and will be done so on budget, and on time. 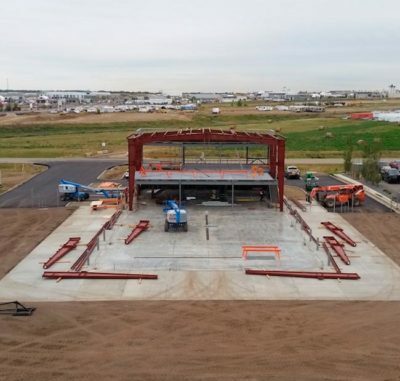 CMBE has worked on a range of different projects from trucking & logistics companies, oilfield companies, and community centres to church construction, sports facilities, and the agriculture industry. Click and check out our recent work to see what we’ve accomplished. CMBE and our trusted partners work hand in hand to ensure our clients receive only top grade quality products for their buildings. Together with our trusted partners we can ensure your building will meet or exceed all local codes, requirements and your expectations. 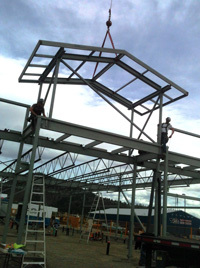 Our vision at CMBE is to build inspiring steel structures. We pride ourselves on the work we do for our customers and the lengths we go to achieve such a standard. We are specialists in the construction of unique and exclusive properties. 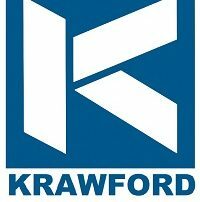 We pride ourselves on delivering outstanding quality and design completion for leading clients across North America.